What matters in your mortgage application? When you make a mortgage application, lenders typically consider several things to determine whether you can really pay back your mortgage loan. These can be summed up by income, expenses, financial position, and your spending/saving behaviour. Lenders want to see that you have a consistent and stable stream of income. If you are a wage earner, they may request two consecutive recent payslips and bonuses as well as your current year-to-date gross and net incomes (this is basically a record showing your payroll from the beginning of the year to the current payroll). They also want to know about any other income that you have, whether it is rental income, investment income, etc. Income from casual/part time positions on the other hand, may not be considered by certain lenders due to its temporary nature. For those of you who are self-employed, lenders may request for the last two consecutive years’ of tax returns as well as full financial statements. Financial statements include business’ balance sheet and a profit-loss statement. Utility bills – Look at how much you pay for gas, electricity, water, TV, phone, etc. Household costs – These include rental expenses, council rates, body corporate, maintenance fees, etc. Bank Statements – This would give you a reliable indicator on how much you are spending on living expenses. For example, expenses could include grocery shopping, eating out, going out for drinks with friends, haircut, clothing, medical/dental costs – you name it. A good way to capture your expenses would be to tabulate them by category on a excel spreadsheet. You will also need to provide details on your significant but less frequent expenses. This is particularly relevant if you have dependants. Some important expenses to declare include tuition expenses or costs associated with child care. Note, as a way of assessing your credit rating, lenders examine how well you pay your bills. Something as simple as a missed or delayed phone bill payment can go a long way to sabotage your chances of having your application approved. Therefore, and I cannot emphasise this enough, pay your bills ON TIME, EVERYTIME. That said, if you have missed payments in the past, it is not the end of the world. Make sure that you are honest and you will find a lender who will happily accept it (Tip 1 below). Asset Position – all that you own including houses, cars, shareholdings, savings, etc. Lenders would be able to deduce your spending and saving behaviour through looking at your bank statements. They would be able to see whether you save money each week as well as how much you spend as a percentage of your income. Particularly with the recent news regarding the Royal Commission, lenders are now more prudent in assessing whether you are realistically able to handle a mortgage on top of you current day-to-day expenses. It is critcal that you are honest. If you have had a default in the past, it is important to disclose it to your mortgage broker so that they could find lenders that are okay with it. Lenders commonly reject applications due to non-disclosure of expenses as well (people not disclosing the fact that they have kids). Credibility is everything to the lender. It also helps that you have ALL your documentation at hand to submit to the lender. 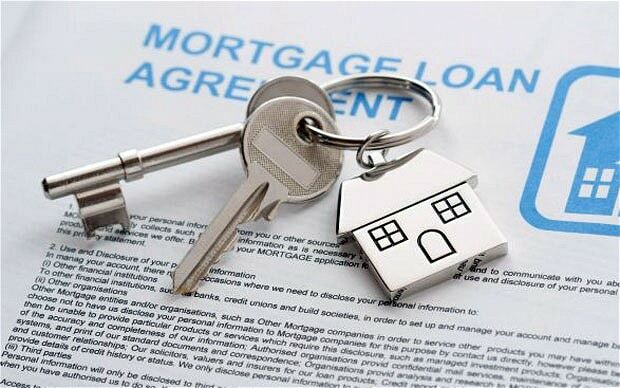 Submitting your mortgage application without all the document would likely cause unnecessary back and forth. Submitting part of your documentation is no better either. Lenders may grant a conditional approval and this may result in problems when later down the track to reject your application. A common mistake borrowers make is that they choose the mortgage with the biggest loan – even if it means having to adjust to an extremely frugal lifestyle. Be realistic with your current expenses. Only commit to borrowing when you are certain you can maintain a reasonable lifestyle despite the mortgage.